Businesses and philanthropists from across the South West will come together in Bristol this Thursday to help raise vital funds for its young people. The annual Prince’s Trust Red Dinner has raised more than £650,000 since it was launched seven years ago, with all the proceeds going toward helping young people across the South West. This year’s event is being staged at the Aerospace Bristol museum for the first time and will be hosted by Gloucestershire-born TV presenter Lisa Rogers. All 450 tickets have already been snapped up – going a long way to meeting its target of £130,000. The Prince’s Trust supports young people in the South West to develop the confidence and skills they need to live, learn and earn. According to its latest annual research report on the wellbeing of UK young people, their happiness and confidence are at the lowest levels since study was launched and the number who don’t feel in control of their lives has increased by more than one third year-on-year. One in four working young people feel trapped in a cycle of jobs they don’t want and, while 73% think they are capable of getting a better job, many are held back by low confidence and a lack of opportunities to develop their skills. All the money raised from the Red Dinner will go towards changing this, boosting confidence and skills for young people in the region. Lisa Rogers said: “I’m honoured to be hosting this year’s Red Dinner. I’ve heard great things about the generosity of big-hearted business leaders in the West Country and am thrilled to be at the event to meet many of them in person. “Together we can raise these vital funds to continue the amazing work of The Prince’s Trust in transforming young people’s lives. 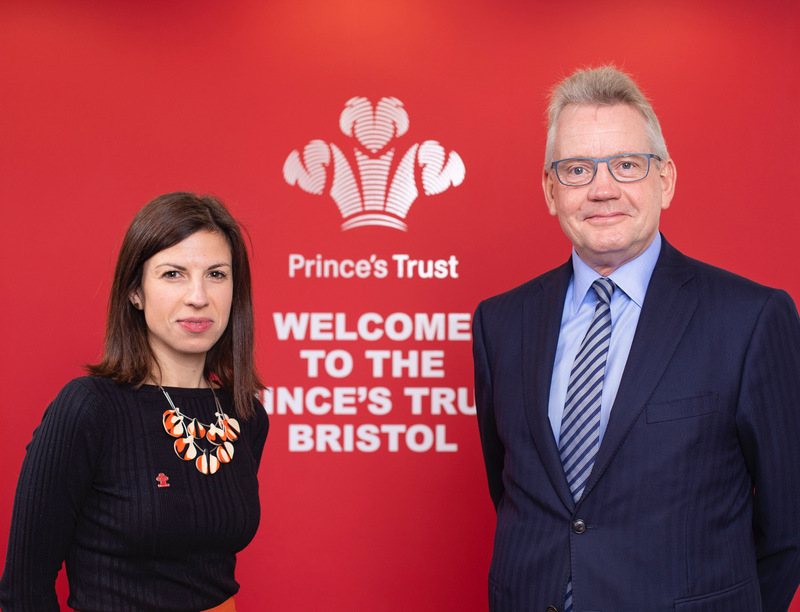 Mike Beesley, CEO of Bristol-based recruitment firm RSG and chair of The Prince’s Trust South West development committee, added: “Businesses in this region do a huge amount to help The Prince’s Trust deliver incredible, life changing programmes. The trust’s South of England regional director Rozzy Amos described the Red Dinner as a fantastic opportunity to bring the wider community in the South West together to raise money for young people in the region. “All the funds raised on the night will go towards giving young people in the region a greater stake in society,” she added. The event starts with a champagne and canapé reception followed by a three-course dinner and a live auction featuring exclusive prizes such as Kiki McDonough diamond earrings, a Burberry trench coat and several once-in-a-lifetime experiences. The Red Dinner’s main sponsors are BPEC, Origin Workspace, Stuff Advertising and Rice PR.